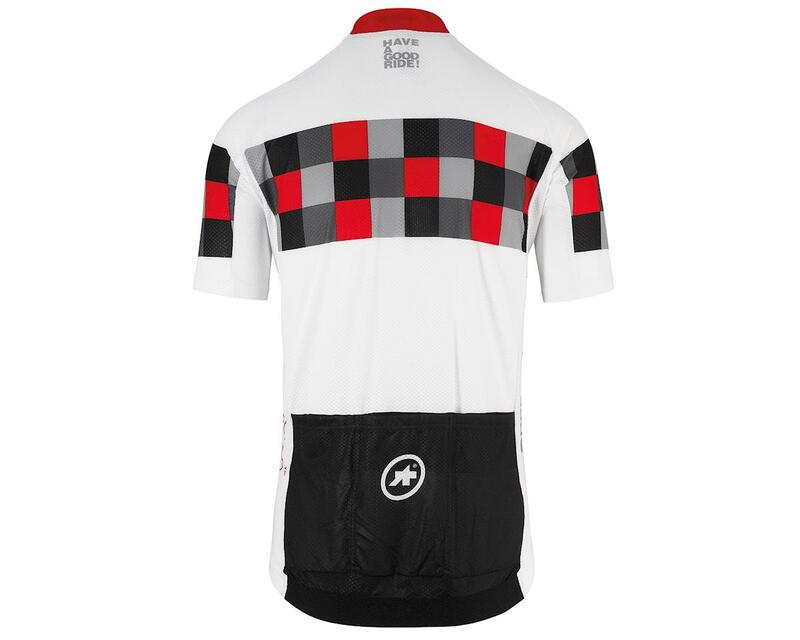 With its evocative checkered design, the Assos SS. Grand Prix Jersey is part of their F1 inspired Works_Team collection. In an effort to push the limits of premium cycling apparel, Assos has designed this warm weather jersey utilizing a remarkable material called Hill Tex, their lightest yet. Not just lightweight, Hill Tex consists of an open circular knit structure that imbues the shirt with enormous breathability and 4-way stretch. The result is the utmost in rider comfort in high temperature, high exertion scenarios. The fit and detailing are superb utilizing the body mapped regularFit cut, which offers just the right mix of performance and comfort. 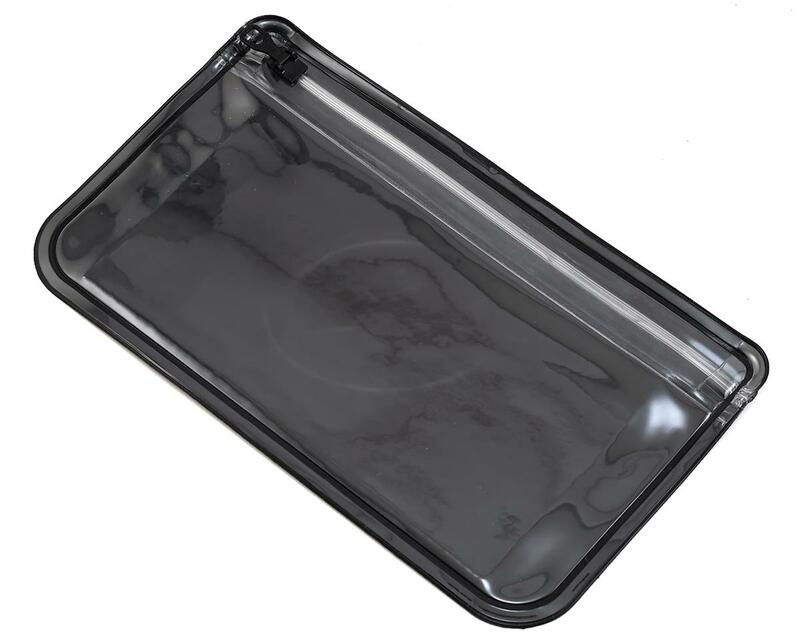 The pockets are made from super stretch Sens Classic Tex, and their 'triple ramp' design. 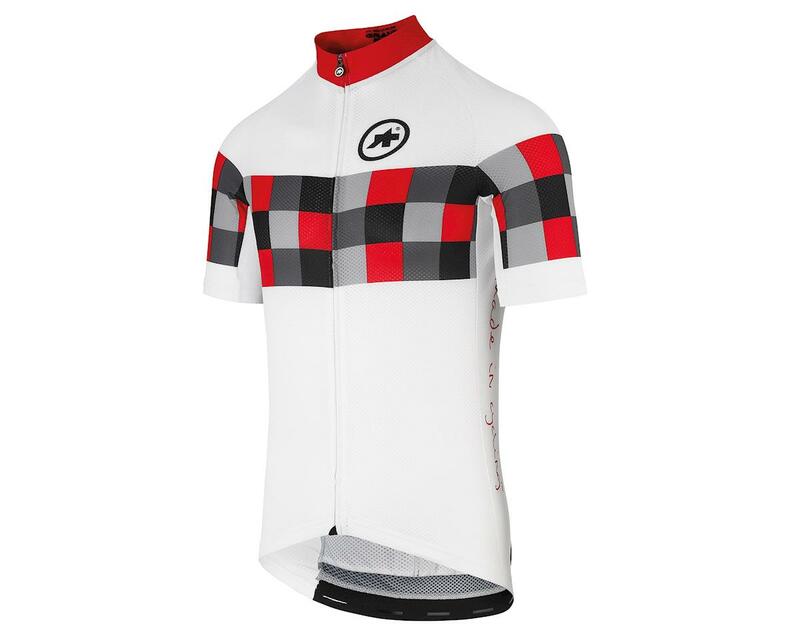 Sponsor yourself with this stylish jersey that has been perfectly tuned for the hottest and hardest rides. regularFit: A body mapped performance fit that is a little less aggressive than their racingFit. The best of both worlds, wearability and performance. Hill Tex: Their most lightweight textile. Consisting of a circular knit open structure that provides excellent breathability and 4-way stretch. Sens Classic Tex: A lightweight, super-stretch material engineered by Assos to improve comfort in areas where elasticity and softness are beneficial. Used here on the pockets. Triple ramp concept pockets: A storage design with pockets optimally located for ease of access, security and stability. The pockets are made from lightweight super stretch Sens Classic Tex material and have a 'triple ramp' design that ensures contents stay secure no matter how high your exertion. Full-length zip: A slim central fastener allowing full personal adjustment to temperature and exertion. Usage: This summer cycling jersey is perfect for the hottest weather and hardest climbs. It performs at its best when worn over one of Assos's skinFoil baselayers. Designed to excel in summer conditions. 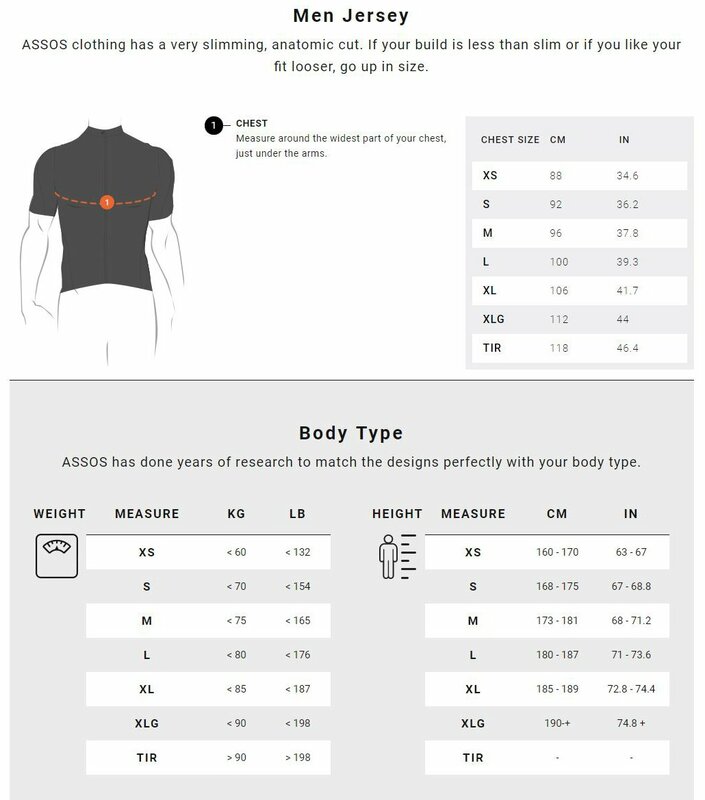 Note: To maximize the ASSOS total comfort experience, pair Assos Jerseys with an original Assos base layer.